Seeing all these temples and walking around since 5 am made us quite hungry. 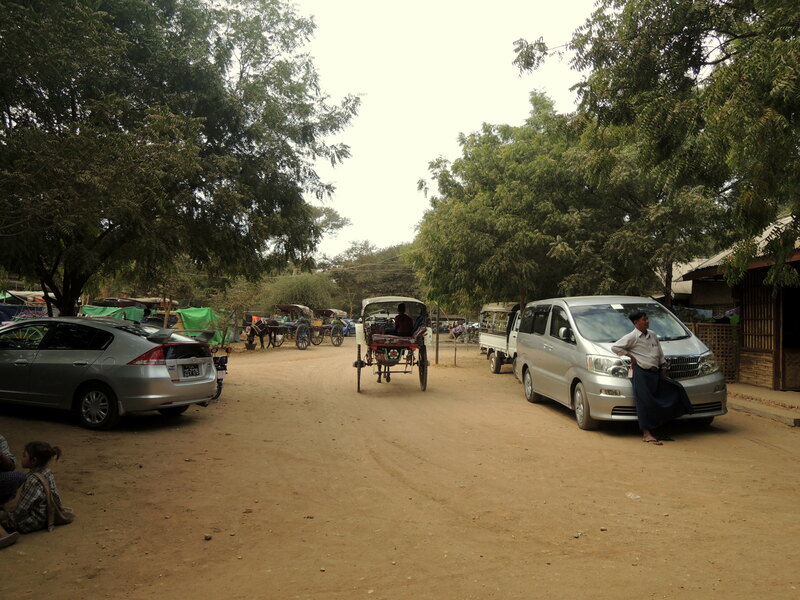 Our search for lunch brought us into Old Bagan city for the first time. It was filled with villagers who had set up a tent city for a major festival that was in a few days. Tents were everywhere, complete with makeshift kitchens, kids and even cattle. We had quite a few kids come up to use asking for money – none as young as that previous little girl though. Most kids didn’t care if they got money or not but seemed excited to play and interact with us. One little girl knew how to first bump and it was adorable. On the grittier side of things there were a few women walking with their babies asking for money for their baby while tourist ate at the restaurants. But that’s life right now. Old Bagan was alive with villagers, travelers and hundreds is monks. Trucks kept bring more people into town.Pickup trucks filled with people, and flatbeds that were dangerously overfilled rolled into town.The place is in a state of flux as well. Tourism was surely bringing in more money than the region had seen in its recent history. Looking up the street you could see a new Toyota slowed down behind a horse cart who couldn’t get around the pickup full of people all while tourists in ebikes tried to squeeze through the gaps. As the day went on , we had seen so many temples and sites that some were hard to distinguish from others. It was impossible to travel for 1 minute in any direction without coming upon something ancient. When we eventually had to leave, we got onto the main road and started back. But the road was not calm. We got stuck in a traffic jam behind a line of horse carts, tour buses and everything in between. When we made it back to the hotel and got ready to leave we discovered we had missed the shuttle to take us to the bus terminal! Our hotel staff was on it though. They called around and a few minutes later a pickup truck rolled up to the hotel and we were told our ride was here. We threw our bags into the back and then climbed in ourselves. One of the hotel bell boys even got in to the truck. We rode along a dark road for 20 minutes until we arrived. The bell boy snatched out bags and pointed us in the right direction and told us which bus was ours. 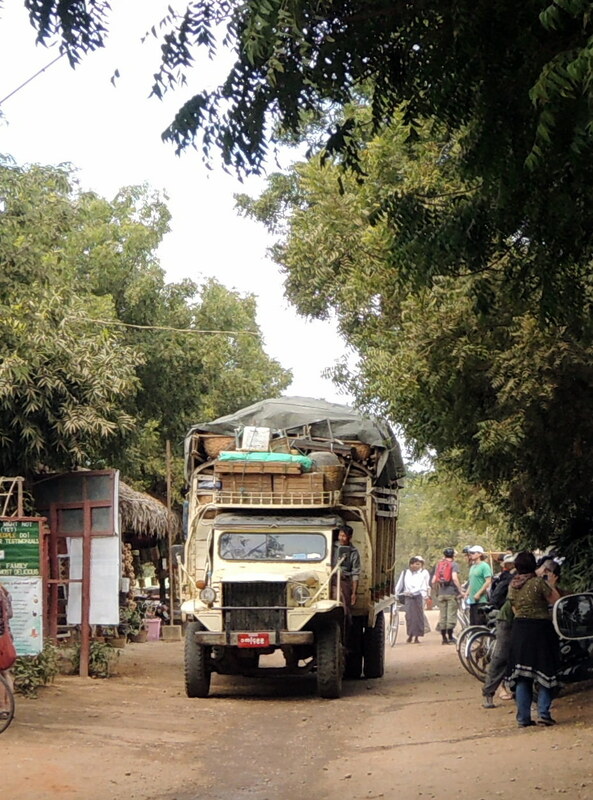 Then they were gone and we were ready of our night bus to Inle Lake.